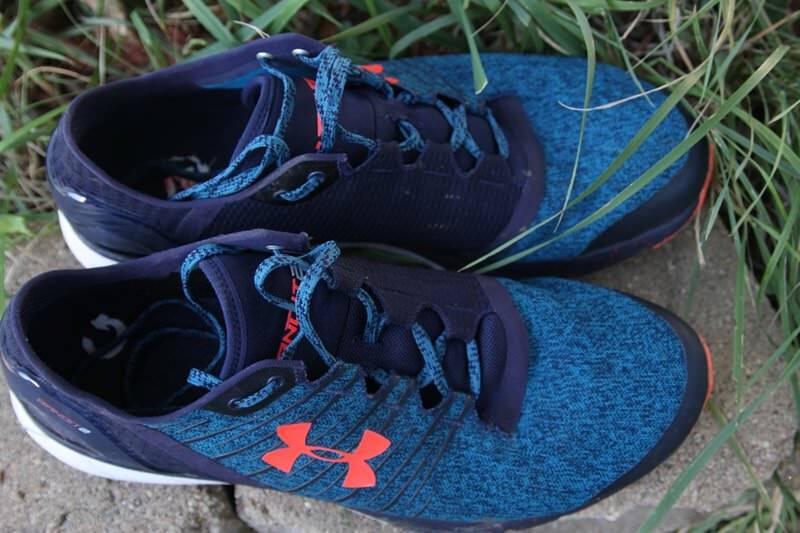 The Under Armour Charged Bandit 2 is a cushioned trainer that is made to log high miles. At a modest price, these shoes check off nearly every box any runner could want. This shoe is made for almost any -- except elites/low drop -- runners. Holds up well to heavier runners and marathoners. The Under Armour Charged Bandit 2 is a cushioned runner that still keeps the weight low enough to feel fast throughout your runs. 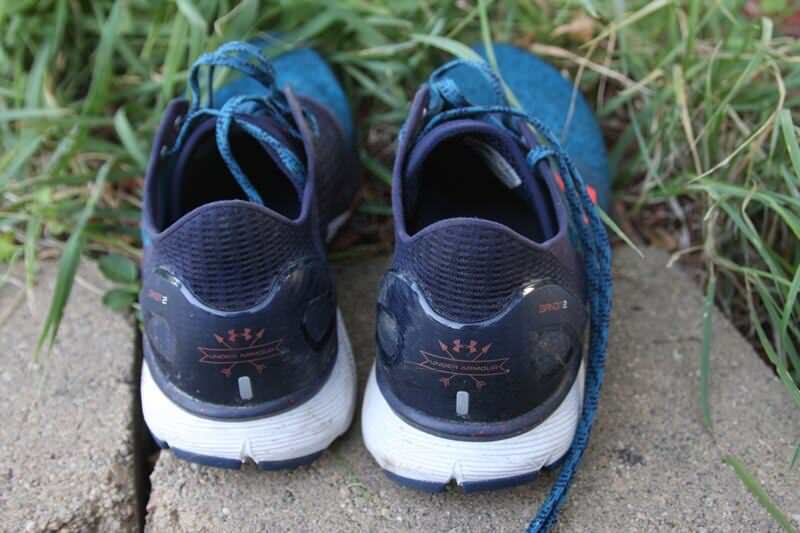 It was designed as a neutral trainer that can log as many miles as you are willing to throw at it, and in my testing these shoes preformed at the same level — or higher — than all the traditional brands. After logging more miles on these than I have logged on any review shoe before writing the review, I can’t help but come away from this offering very impressed. 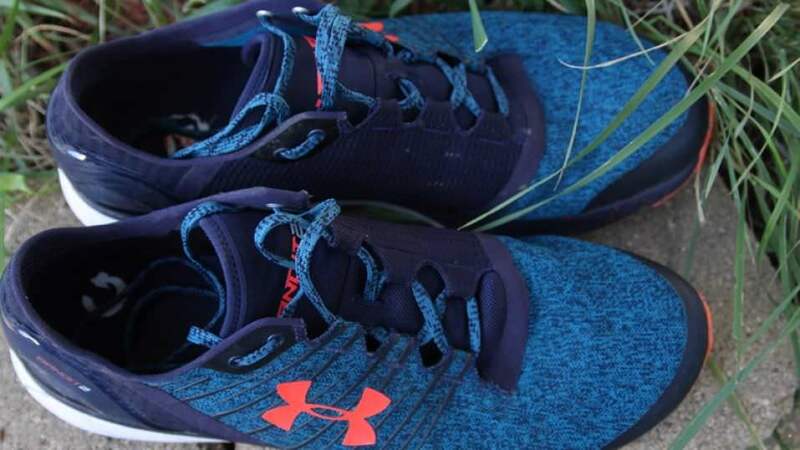 The Bandit is Under Armour’s second tier of neutral runners — behind the Gemini — but brings some different aspects to the table. This shoe is in a unique situation, seeing as it is in direct competition with shoes like the Brooks Ghosts or the ASICS Cumulus in the neutral trainer category. However, at $99, the Bandit is about $20 cheaper than the shoes against which it is competing. This cost to quality ratio is outstanding. Upon unboxing, I was blown away with the heathered upper. The colors are striking and the material is incredibly soft to the touch. The other aspect that amazed me was just how light they felt, despite all the cushioning included. On the first run, they were perfectly cushioned under the foot to keep me feeling happy. That feeling did not go away — and still hasn’t. The sole unit is solidly built using a two-piece Charged Cushioning which advertises a firm heel that gets softer as you move towards the forefoot and a standard 10mm drop. I personally thought the shoe provided the same soft — yet not cloud-like or pillowy — cushioning throughout the foot. It was soft enough to keep your feet happy on the long runs — 22 miles of good feelings — and yet firm enough that I felt good on tempo runs or shorter jaunts. 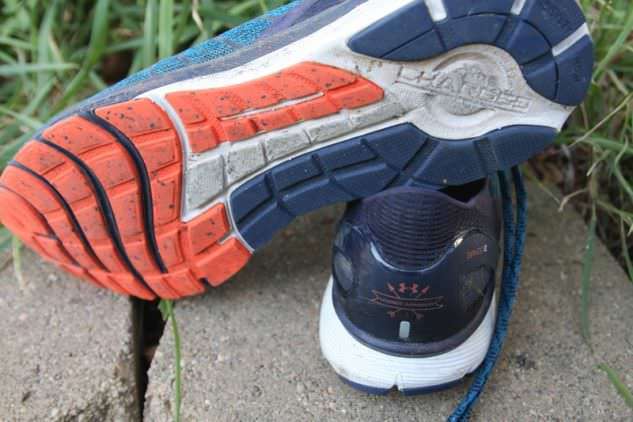 The other great aspect of this shoe was just how flexible it was, with well positioned — and deep — flex grooves throughout the unit. The unit uses full rubber outsole for good grip on multiple surfaces — however, this material was one of the places the shoe didn’t live up. The rubber was great on most runs, however, when dealing with wet concrete from rain, they were slick and hard to control. 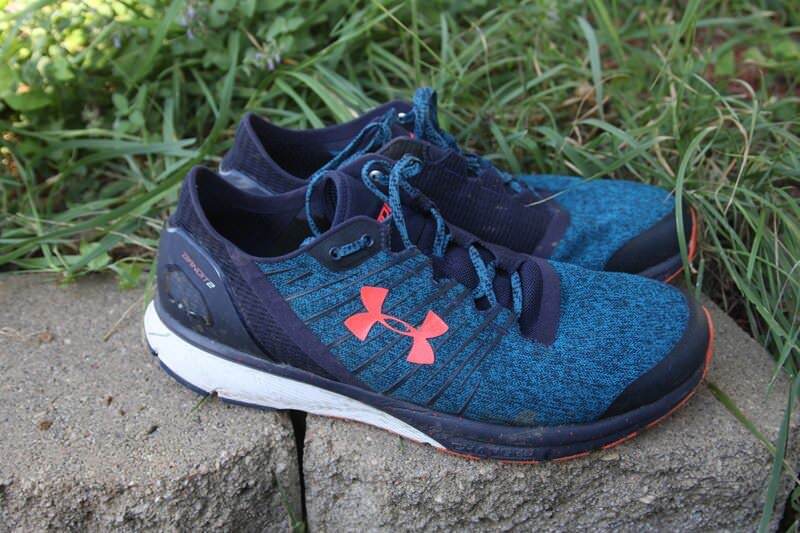 The upper is one of the most comfortable uppers I have run in while testing shoes. It is seamless, with an internal and external heel cup that locks your heel into the shoe. The material is very flexible and stretchy — which allows your feet to flex and move as needed — and yet supportive. This upper uses welded seaming to help with that support. The material itself is a soft weave with an almost shirt-like feeling. However, because of these aspects, there is a major drawback to the upper. The material is very breathable, but also porous to water coming in through it. Despite two legitimate drawbacks to this shoe, both of them are truly only present in one weather condition — rain. When it is not raining, these shoes are on the same level — or even better than almost any of the shoes I’ve reviewed this cycle. They held up to speed workouts on the track and to the long distances of marathon training. 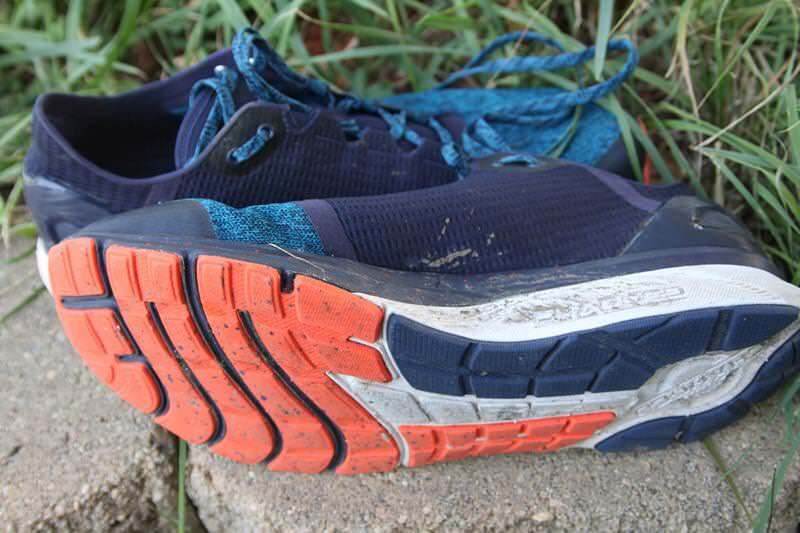 I put these shoes through the ringer — amassing 250+ miles — and they are still going strong. The ride is smooth and quick, with a natural turnover that made me trust them on every run. The cushioning held up to 22 miles and felt like it could have gone for many more. The most amazing part for me was in doing research after finishing my testing. I didn’t want to know what the retail price was until after wearing them — especially after being let down by some more costly offerings this year. When I looked up the price and saw a retail price under $100 I was floored. The price is what moved this shoe from a planned 4-4.5 star to a 5-star shoe. The cost/quality ratio of this shoe is just amazing. I am currently planning on continuing in these shoes and have actually decided to wear a pair of these for my marathon in October. 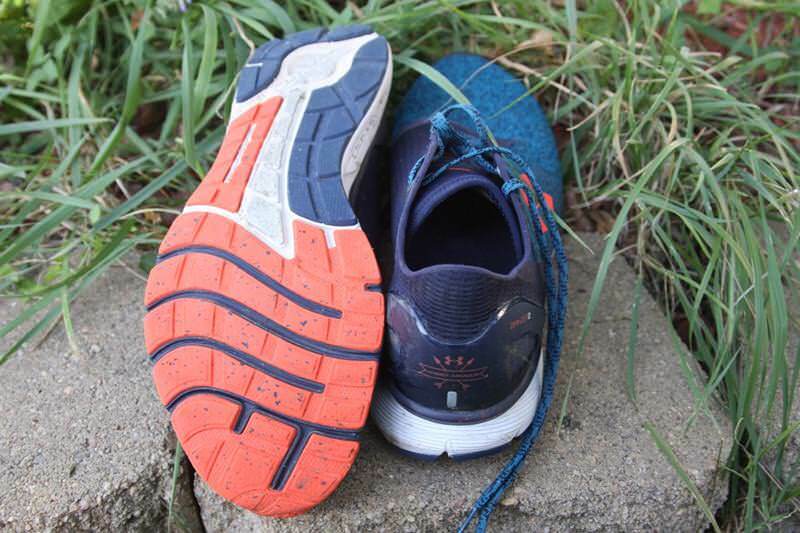 If you are like me, and enjoy a versatile shoe that can mark off most of the boxes on your running checklist, then this shoe should be right up your ally. We thank the nice people at Under Armour for sending us a pair of Charged Bandit 2 to test. This did not influence the outcome of the review, written after running more than 50 miles in them. Let me start by saying that I have not personally run in nor ever owned a pair of UA Charged Bandit 2’s. However, while I’m sure they performed very well overall, allowing them to receive such a high rating from the reviewer, I’m a bit perplexed as to how this shoe rated a “10” when the author himself points out 2 very important drawbacks – slippery when wet and the porous upper. This is especially true when considering the time of year we are moving into. I could completely get behind a rating of “9.5” or even a solid “9” but don’t believe a 10 rating is warranted. It is another aspect that I took into consideration for the review itself. I have had these for quite a while now, and when I first got them, my initial reaction was a bit meh. But in time I have come to appreciate what a comfortable, well balanced shoe this is. It just quietly gets on with its job without drawing attention to itself- which is how it should be. The only drawback is that I have found that the laces come unravelled very easily. The only way to keep them tied is to double knot them. I have not run in the WR19, however I have run in the WR20 and could compare there. The Bandits felt softer in their cushion and lighter than the WR. However the WRs are more stable and have a more defined transition zone towards the toe off. The upper of the WR is more ventilated – so if you run in heat a lot, that may be better – but the material isn’t as soft. Overall, both shoes are good. The distinguishing factor may be the price. I can currently find Bandits for $70-80, where as the WRs are squarely in the $120 range. The other one I would tell you to take a look at would be the Skecher GOrun5. Frankly, I was amazed by the quality, the cushion and the lightweight feel. And at $100 for the list price, they are a Best Buy in every sense of the term. I just used them to set a new 10k PR, shaving 2 minutes from my previous time. If you had to choose between the Charged Bandit 2 and SpeedForm Gemini 3, which would you prefer? I preferred the Bandits over the Gemini. Where to begin… I am/er was not an experienced runner. I was fitted at a local shop for a $180 pair of neutral cushioning shoes. I at the time was 210 lbs so this seemed like a good deal to stay healthy and put on some miles. Several months down the road, its time or some new shoes. I run with some very experienced runners in a group setting. After interviewing most of them about shoes the direction I took in shoe buying is this. Everybody is different, and if it works for you buy more. That being said I bought my first pair of Bandit 2’s based on this sites rating. I found the review to be spot on. I have run 450+ miles in my first pair and 250 now in my 2nd pair and am shopping for my third. I own 4 other brands and styles of shoes, and these are hands down my go to shoes for long runs and in the rotation on any other training style. Great Shoe, and great review. How does this compare with the Pegasus? Which is a better all purpose daily wear/run shoe? The size 13 I received fit exactly as a 13 should on my feet. I thought they fit true to size. Sorry for the delay on the response. I have not ran in the WR19, but I did review the 20s. I’d say the 20s are a little lighter feel but a little stiffer on the cushion. These have a deep feeling cushion throughout the run. I was quite surprised (pleasantly) and enjoyed them a lot. However, in the end, I’d say the WR20 is a superior shoe (but also about $30 more expensive).